Linkin Park are all set to liberate their newest complete-length, “The Hunting Party,” on the 17th June, and Mike Shinoda multi-instrumentalist declares the guys done a great effort to come back to their stun roots, as opposite to providing into the alternative/indie trend of these days. 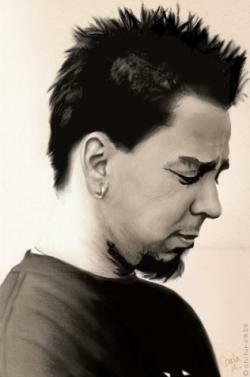 Shinoda gives details like that while he is a big follower of those new substitute acts; they only are not Linkin Park. He started creating demos as early as they completed the last album, and at some specific point, he pays attention to them and understands they sound very modern, Shinoda declares that in the meeting. But he was not as enthused by them as he might be, as they looked like what is going there in the indie and rock and alternative. He love bands such as Vampire Weekend, Haim, Purity Ring and Chvrches, and the demos crashed such as they were going in that particular direction. He likes listening to those particular groups creating that music, but not essentially them. So, Shinoda describes that he threw it the whole in the folder and started over. They discussed to the men in the band and discussed what type of music they might be making that any other bands cannot. He supposes that this particular song is the record of DNA that provides a wonderful intro of what the record will seem like. It situates in the center, not the edge. Shinoda describes the name of the visit is a response to the music that is famous at the present time. So much pop and rock music at this time are very jingly and passive. It seems like stuff you perceive sound on Disney and Nick Jr. Channel. So that particular carnivorous approach just became an idea that they are kept approaching back to.